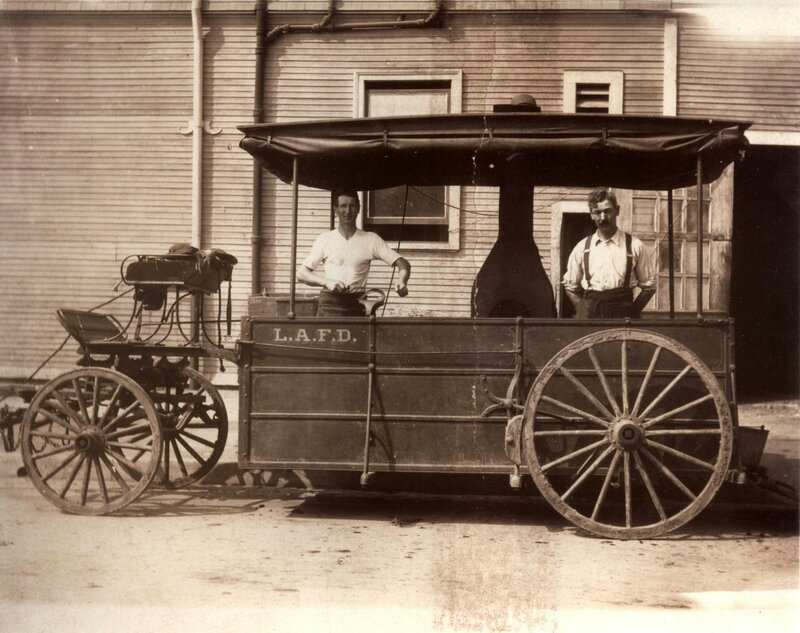 This section is courtesy of Captain Duane Warth, LAFD Retired. Charlie Motherhead third from the right. Charles Motherhead on the right sitting. 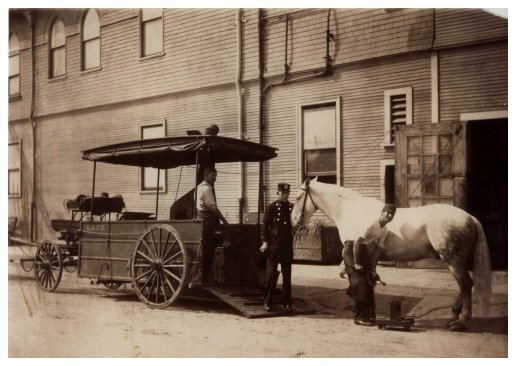 Charlie Motherhead with horse at Engine 5 at Towne Ave. and 4th St.
T. Hall in the wagon. 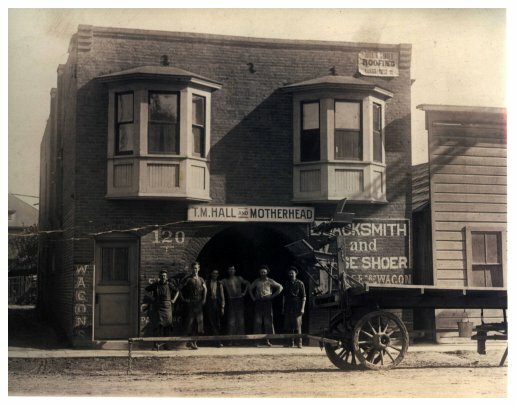 Charlie Motherhead (left) and Theron Hall (right) in the early 1900's. bought out Hall who returned to Illinois. 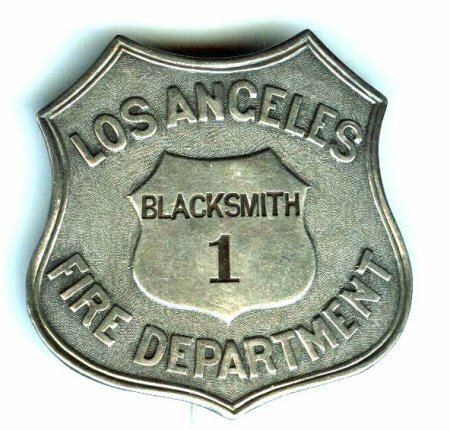 The big iron-gray that was being shod by T. M. Hall, official shoer for the Los Angeles fire department, was gentle as a lamb. He was almost like that nature fake horse that holds up his foot to be shod. It was at No. 3's house on Hill st. Mr. Hall was shaving down the hoof preparatory to fitting the shoe. "There's as much difference in the 140-odd horses of the department as there would be in that many human beings," said Mr. Hall. "This is a gentle one. See that bay over there? He's the ugliest one in the force-sick just now. We make the round of the 26 houses every month. In this systematic way, we get a chance to watch the feet carefully and avoid trouble." "Do horses ever have corns?" was asked. "Occasionally," was the answer. "We pare out the corns and if they look as if they were going to give trouble, we have those rubber pads fit beneath the shoe. That relieves the pressure and the foot soon gets well. "We had one horse whose foot was all honeycombed with corns. The horn had grown way over and he had an awful foot. Its's the pavement that plays bob with horses' feet. Oiled roads are much easier, but the horses cannot make such good time." 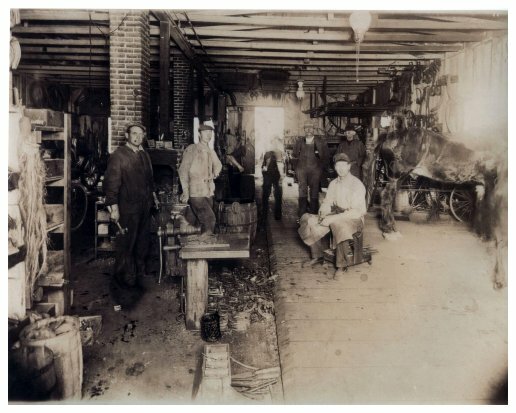 Mr. Hall has two kinds of shoes for the horses, the plain ones for the level roads and the corked ones for the hilly places. 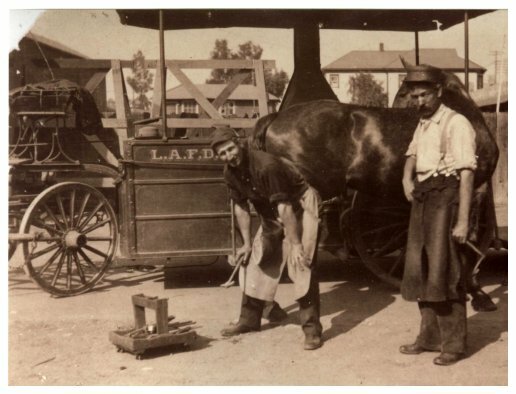 This does not mean that when the horses are going to a fire the men select shoes according to the locality of the fire, but horses at the houses in the hilly district are shod with shoes with corks. A pair of old shoes for each horse is kept at the different houses and if a shoe is lost during a fire, it can be replaced at once. Mr. Hall and his assistant, Chas. Motherhead, make their journeys on a wagon containing a blacksmith's forge, anvil and outfit. 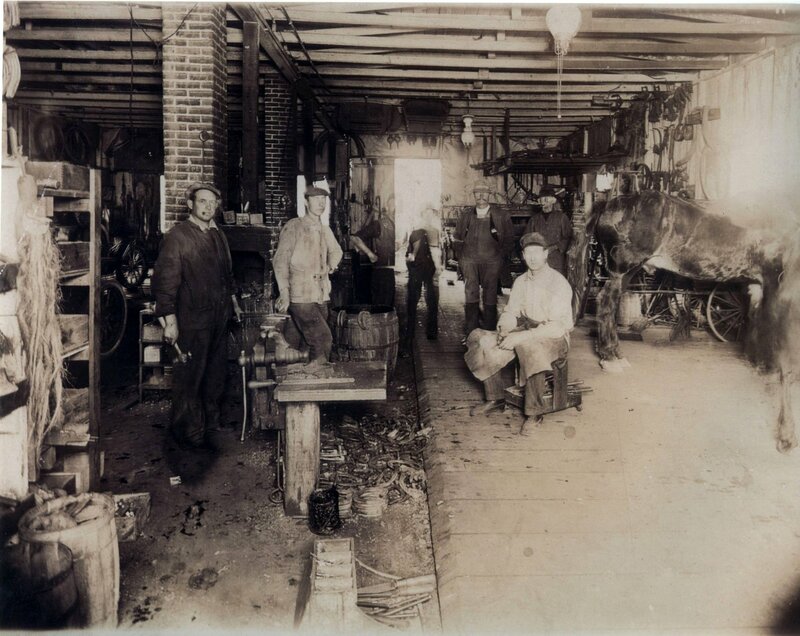 The forge is run by a motor that is connected with the lights. 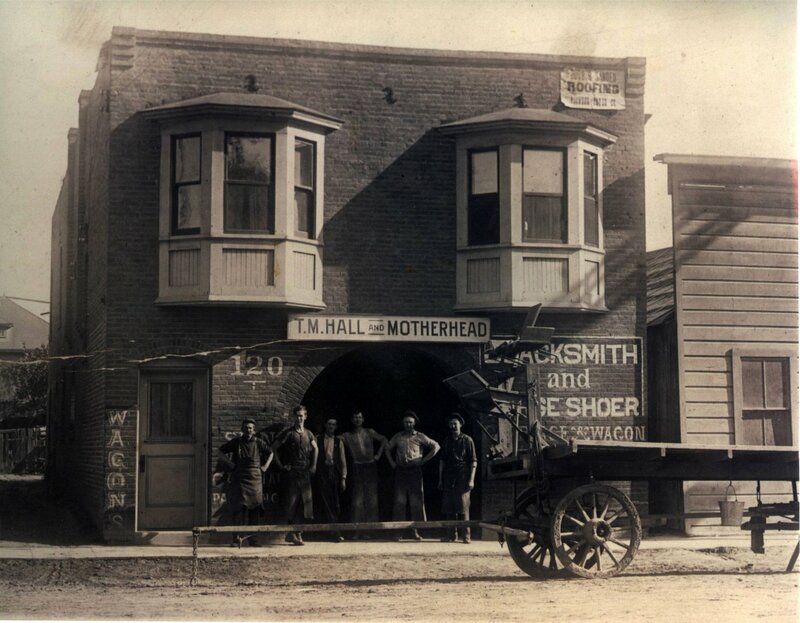 Hall is an expert shoer and had a shop of his own in the east side before he was made official shoer of the fire department, a year ago last January. 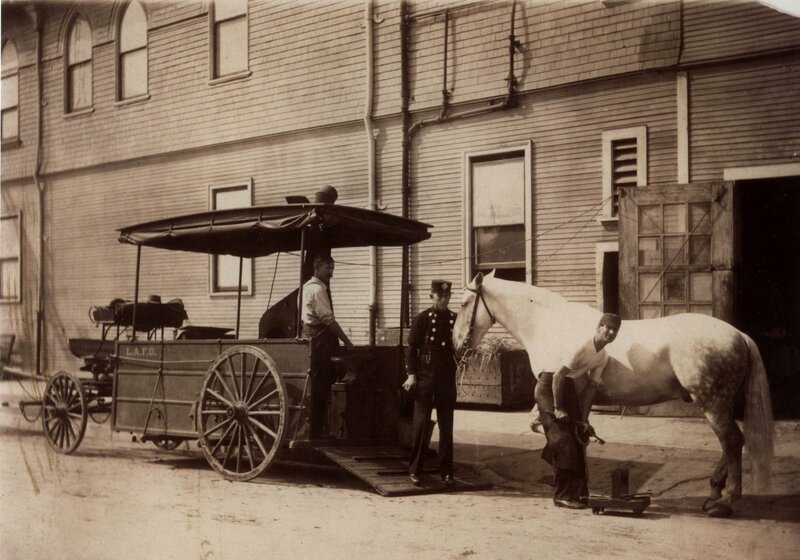 One of the horses that pulls his wagon is a fire horse and if an alarm comes in while he is shoeing at a house, his horse takes the place of the one being shod. 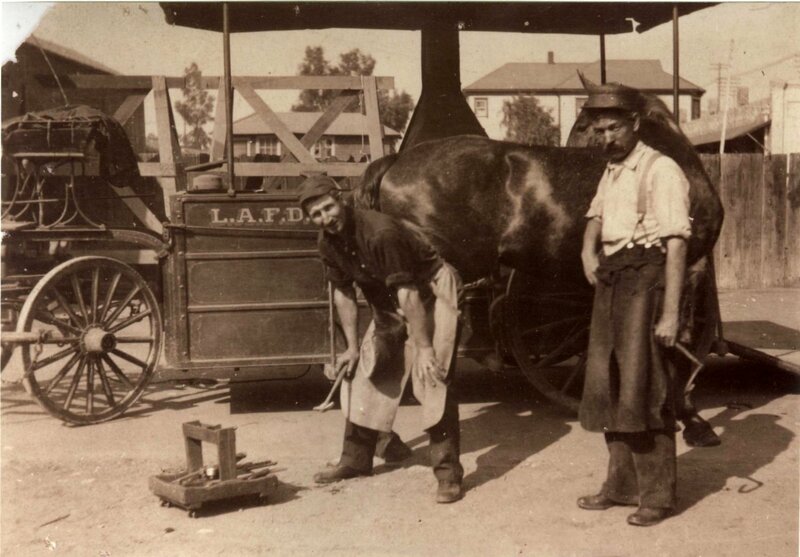 Los Angeles is one of three or possibly four cities in the country where all the shoeing of the entire department is done by one man. I just found out that the Blacksmith badge belonged to Charles Motherhead. 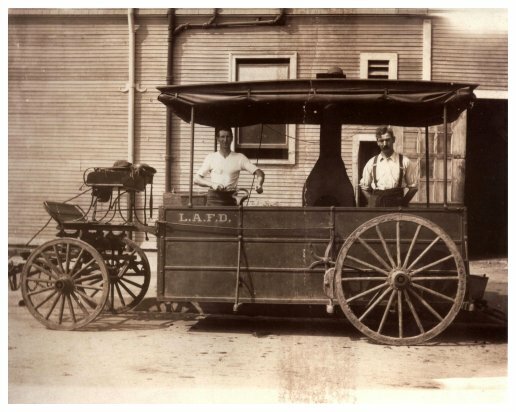 Motherhead served as the the assistant of the official LAFD horse shoer, T.M. Hall. Motherhead later became the official blacksmith. The guy I bought the blacksmith badge from several years ago finally found some pictures of Charlie Motherhead and Theron M. Hall. He got the pictures from the family of Motherhead.